Announcing the sixth Podcrawl Glasgow. Calling all podcasters and podcast listeners. 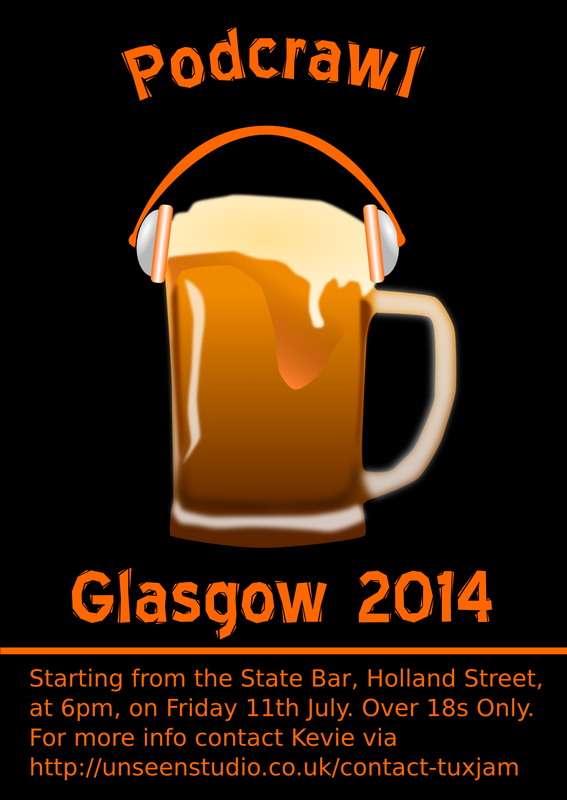 Podcrawl Glasgow will kick off on Saturday July 27th at 6pm in The State Bar, Holland Street, Glasgow. 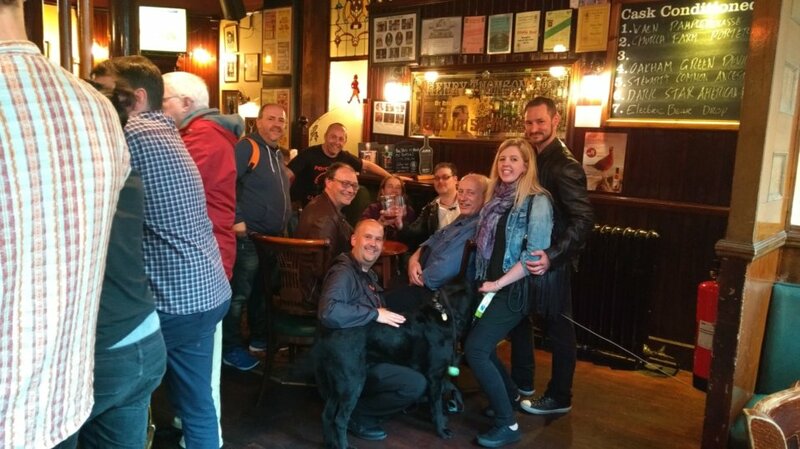 The bar is located in the city centre of Glasgow and is easily accessed from the main stations: Central and Queen Street as well as Buchanan St Bus Station. Look out for the people wearing black t-shirts with the logo above printed on them. However we do not intend to stay there all night, if you wish to join us later on we will be using the hashtag #podcrawlglasgow on various social media sites. Take some time out from your hectic schedule and enjoy a few drinks with some like minded podcasters. The Podcrawl is an annual event that started in 2014. Whether you are a podcaster,a fan of podcasts, indie artist or band member, then you will be made most welcome. Please note that due to the time of the Podcrawl and the nature of public houses in Scotland, this event is for people aged eighteen years and older, most Glasgow pubs will not give entry to children. Announcing the fifth Podcrawl Glasgow. Calling all podcasters and podcast listeners. 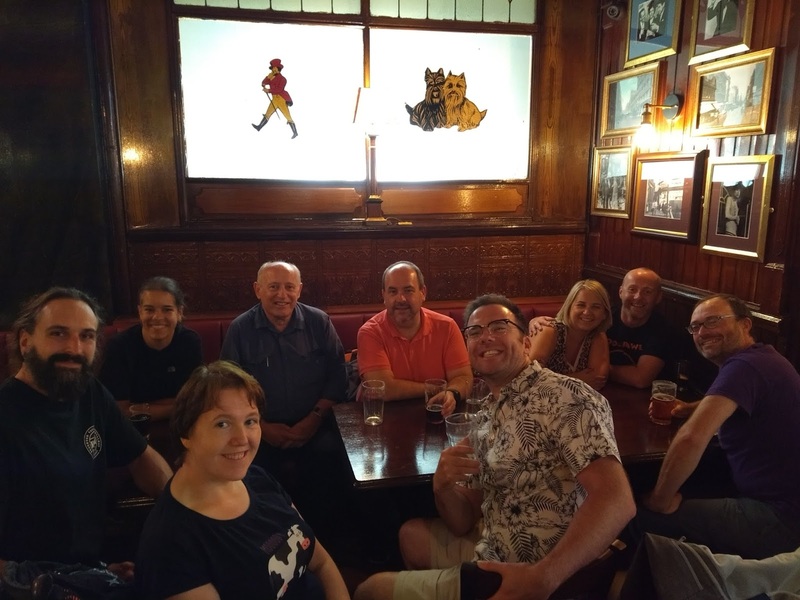 Podcrawl Glasgow will kick off on Saturday July 28th at 6pm in The State Bar, Holland Street, Glasgow. The bar is located in the city centre of Glasgow and is easily accessed from the main stations: Central and Queen Street as well as Buchanan St Bus Station. Look out for the people wearing black t-shirts with the logo above printed on them. Announcing the fourth Podcrawl Glasgow. Calling all podcasters and podcast listeners. 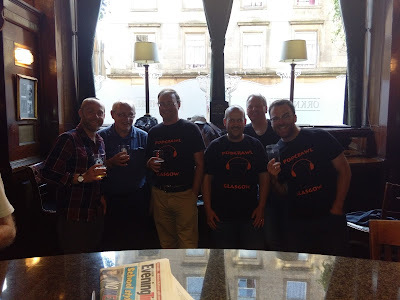 Podcrawl Glasgow will kick off on Saturday July 29th at 6pm in The State Bar, Holland Street, Glasgow. The bar is located in the city centre of Glasgow and is easily accessed from the main stations: Central and Queen Street as well as Buchanan St Bus Station. Look out for the people wearing black t-shirts with the logo above printed on them. Announcing the third Podcrawl Glasgow. Calling all podcasters and podcast listeners. 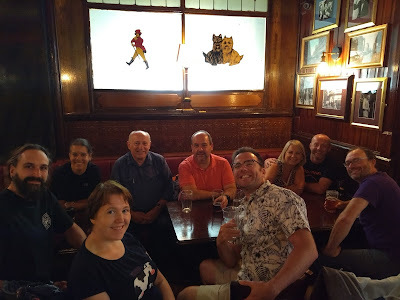 Podcrawl Glasgow will kick off on July 29th at 6pm in The State Bar, Holland Street, Glasgow. 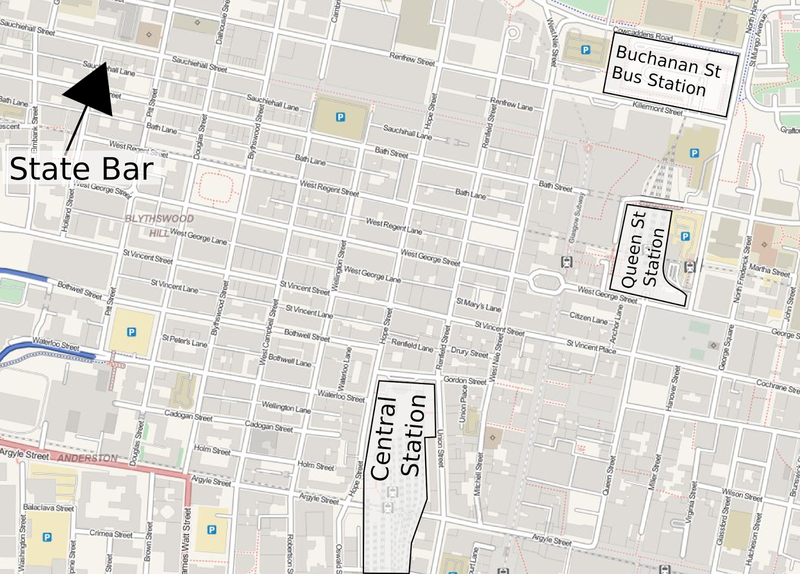 The bar is located in the city centre of Glasgow and is easily accessed from the main stations: Central and Queen Street as well as Buchanan St Bus Station. Look out for the people wearing black t-shirts with the logo above printed on them. Take some time out from your hectic schedule and enjoy a few drinks with some like minded podcasters. The Podcrawl is an annual event that started last year. Whether you are a podcaster,a fan of podcasts, indie artist or band member, then you will be made most welcome. Please note that due to the time of the Podcrawl and the nature of public houses in Scotland, this event is for people aged eighteen years and older, most Glasgow pubs will not give entry to children. Although I love testing new Linux distros, I've got two dedicated testing partitions on my current machine, I like to have a constant distro for my day to day computing use and my main distro of choice for a few years now has been Debian. I've noticed in recent updates over the past year that SystemD was installed as a dependency and has been updated regularly, however after some issues I decided to stick with SysVinit as it has served me well over the years and I am comfortable if I need to tweak it. However on a recent update I realised that I no longer had permission to perform some trivial day to day tasks such as mounting drives, partitions and even rebooting or shutting down my machine. I was asked to provide the root password each time. I immediately thought that my user account had been removed from the various groups, but on checking I found that I was still a member of all of the groups, but didn't have the privileges they were supposed to grant me. Following a lot of searching, I finally discovered the problem: conflicting packages between the old (SysVinit) and the new (SystemD). Well, it was actually to do with ConsoleKit and PolKit, but these are linked too. Trying to remove SystemD was not a quick option, it has become so integrated into the desktop that I would essentially have to wipe the whole thing and build it again and blacklist the SystemD package. So the solution that worked for me was to remove consolekit, including the package polkit-consolekit and then install systemd-sysv (this in turn required the removal of SysVinit). Then I double checked that I had polkit installed (I think it is pulled in when SystemD is installed). Upon restart my permissions were back to normal: I could mount and unmount drives and partitions as well as reboot and shutdown without the need of providing my root password. Not the solution I was after, however without a complete rebuild of my system it appears that I am forced to use SystemD as my init system for the present time. At a time when cars, bikes and other vehicles are generally getting faster and more powerful, yet throughout the world the majority of the roads are in similar a condition to what they were like 30+ years ago. The added number vehicles means that traffic congestion is now a daily part of people's lives. Add this to the quicker pace of life and it is not hard to see how people become more frustrated when behind the wheel. Whilst the government in the UK have taken the approach of fear and warning in a campaign of adverts and a money making scheme in the use of speed cameras, I tip my hat to Samsung who have released a feature using little more than a camera and a projection system which makes overtaking their lorries considerably safer. As can be seen from the video, the device works both at night and during the day. Whilst you will always get people that are downright stupid behind a wheel, many accidents are caused through frustration and taking risks. Hopefully this will save many a life. Personally I would like to see this as standard on every lorry, van, bus, caravanette (campervan/motor home) and caravan. This isn't just a money maker, this is an excellent use of technology that could help save lives. Samsung Safety Truck from Chany D'Amelio on Vimeo. Announcing the second Podcrawl Glasgow. Calling all podcasters and podcast listeners. 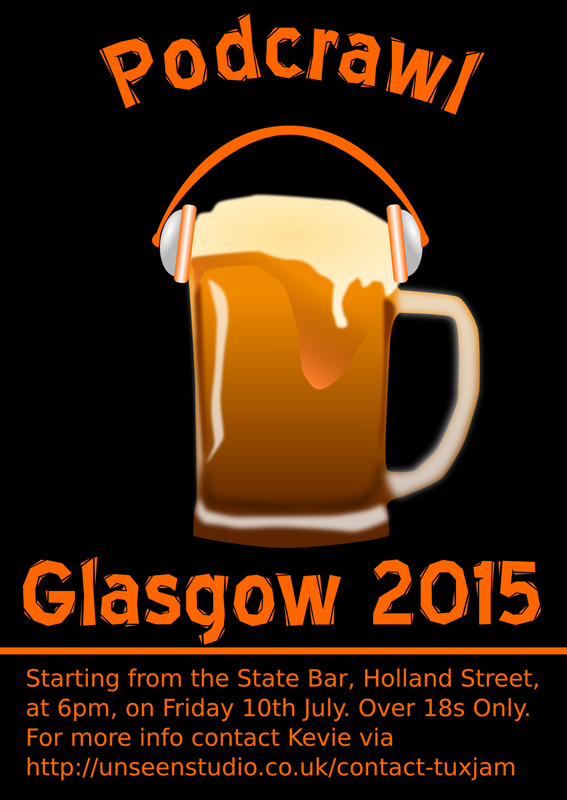 Podcrawl Glasgow will kick off on July 10th at 6pm in The State Bar, Holland Street, Glasgow. 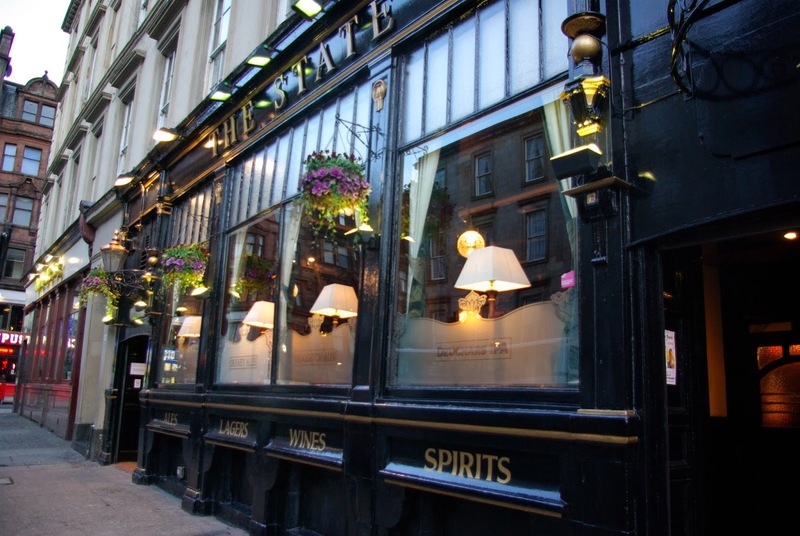 The bar is located in the city centre of Glasgow and is easily accessed from the main stations: Central and Queen Street as well as Buchanan St Bus Station. However we do not intend to stay there all night, if you wish to join us later on we will be using the hashtag #podcrawlglasgow on various social media sites. Please help spread the word, feel free to print out the poster below to help spread the word. I'm a Lewis man through and through. I always advocate the use of open source software whenever possible. I tend to like to tweak factory setings on almost anything I can, the greatest toy ever is the GP2x Wiz as it has just amazing customization potential, cool hardware features such as touch screen, it is way more than a games machine. I also promote using ogg format as opposed to mp3, so if I find a player that runs ogg natively I will always recommend it.